Step 1 In a large saute pan over medium heat, cook the onions and garlic until the onion is translucent, 3 to 5 minutes. Step 2 Stir in the tomato puree and chipotle pepper and bring to a simmer over medium heat. Continue to cook for 15 minutes, stirring occasionally, to allow the flavors to blend and the sauce to reduce slightly; lower the heat if the bottom of the pan gets too hot so the sauce doesn't burn. In Recipes-list.com we have selected the most viewed recipes from category - Main courses Vegetarian . Enjoy the best recipes specially selected for you! 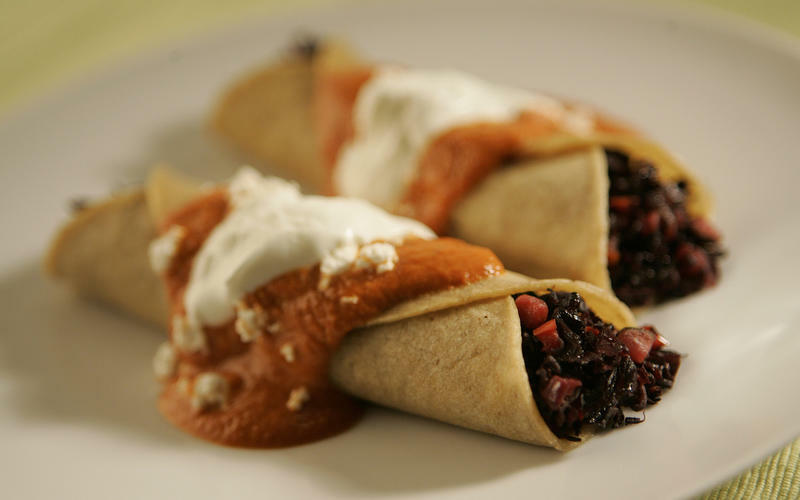 Amaranta Cocina's hibiscus enchiladas with chipotle sauce is the right choice that will satisfy all your claims.